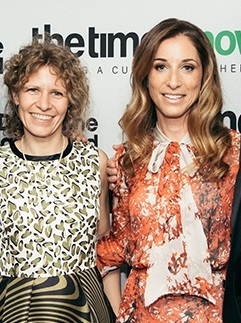 Together with six leading Duchenne charities, we have awarded a fellowship to Dr Michela Guglieri (pictured with DRF co-founder Kerry Rosenfeld at the DRF Gala Dinner). The fellowship is awarded in partnership with Newcastle University and Newcastle University Teaching hospital to develop and advance the clinical trial agenda for Duchenne. 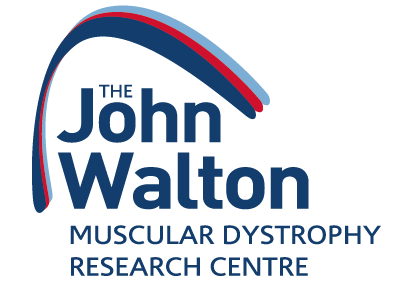 The award of £250,000 over five years is being matched by Newcastle University to enable Dr Guglieri to develop the clinical trial capacity for Duchenne at the John Walton Muscular Dystrophy Research Centre and nationally. The centre currently supports eight Duchenne trials and there are several new studies on the horizon. The consortium of charities funding the post includes Duchenne Research Fund, Action Duchenne, Alex’s Wish, Duchenne Now, Duchenne UK, Harrison’s Fund and Joining Jack. I made up my mind to be a doctor at a young age. When I was three, I drew a picture of a doctor and asked my mum to write my name under it. Whilst I can’t remember it myself, she always said that was the time when I decided what to do. My introduction to Duchenne muscular dystrophy came by chance but immediately felt like the right way to go. It satisfied my two interests: allowing me to help children and work on developing knowledge in a little-understood field. Translational research – taking something from the lab to the patients – was where I wanted to go. This is when the opportunity to work in Newcastle came, and I could not miss it! Newcastle was and is a leading centre for Duchenne research and care. An 18 month placement has quickly become a 10 year career. Translational research in Duchenne is a long and difficult process. But this is exactly what I want to do – taking this journey with clinicians, physiotherapists, nurses, patients and families. It is a journey where the cure sometimes looks far off, but as our knowledge grows our horizons expand. I could not do this without Duchenne Research Fund and other patient and family organisations, which have believed in our work and allowed me to continue this crucial role. Catch up on our fundraising and research progress.